Hiking Through. 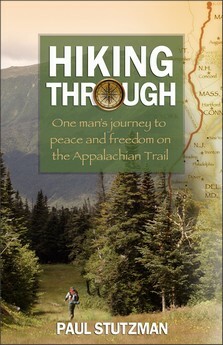 "One man's journey to peace and freedom on the Appalachian Trail" is a great read! It's the stories and narrative as told by Paul Stutzmen, a widower who decides to thru hike the 2,176 mile Appalchian Trail. He takes us on a geographical journey from Springer Mountain Georgia, through 14 states, to Mt. Kathadin in Maine. 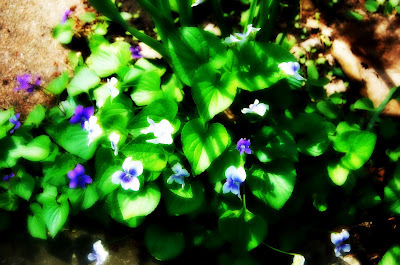 I may be the last one to discover PicMonkey, but just in case you haven't stumbled upon it yet I thought I'd tell you about it. and turned it into this picture. PicMonkey is easy, free and fun to use. The only drawback is sometimes it's so busy you can't use it! Have ya missed me? I've missed all of you! I've had some health struggles this year, resulting in more time in the hospital, but I think I'm on the right path now. Everybody here is doing well & I'm getting ready to take some pet blogging trips. Next week I go to Topeka at the invitation of Hill's Science Diet. I'll be touring thier facilities for a couple of days, like I did with Iams last year. In June I go to BlogPaws, the pet blogging version of BlogHer. All of my men are doing well, Chris is working hard, Jack is almost 16 and getting ready to get his license, John David turned 20 in March & Oskar is busy being adorable. I've dedicated time this morining to coming around and catching up with all of my blogging friends. 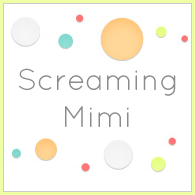 I'd like to say that Mimi's back, but it's hard to tell when the blogging muse will be with you & when you'll feel like you've got nothing to say, but I hope you all have a great Wednesday!